Bitcoin was born when crypto was just an experiment after the financial crisis of 2007–2008, when mining could be done with laptops and the traffic was order of magnitude lower than today. This is what made people that bought thousands of bitcoins in the past for few dollars filthy rich today, but this is also the reason why the system will collapse in the future. It won't be a surprise if one of these days we could hear the news that bitcoin bursted and all the money are lost, with the biggest waste of money and power in the history of humanity. What I'm saying is something that can actually happen if the protocol won't be capable of handling all the transactions, or if it has a bad quality of service at the point that people are not interested anymore. If transactions are getting unconfirmed already, the system is not suitable to buy anything. Imagine that you are buying a car in BTC, and a transaction of $40000 gets stuck for some reasons. In that case it could be mined by mining pools, but it is equally a waste of time considering that transactions with fiat today are done in the blink of an eye. Even worse, little amount of money cannot be mined easily if the fee is too low, and the fee cannot be higher if the amount is little. Just to make a pratical example, considering the huge amount of people that are struggling with unconfirmed transactions in this moment (including myself), I won't recommend bitcoin to buy even a toy of $30. When the system will reach a point where shopping will be not suitable, the currency will die soon. I suspect that the only reason why the BTC currency is still alive is for the huge market capital and trading. 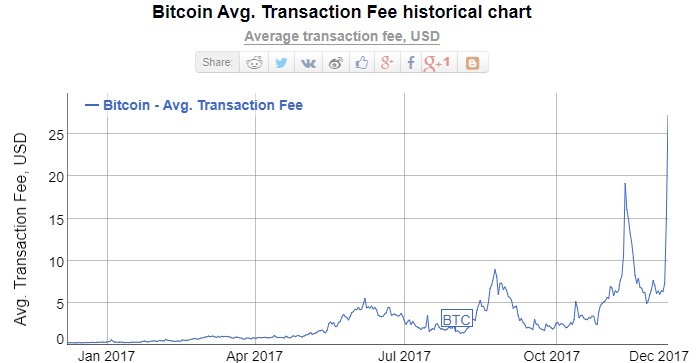 When bitcoin will be abandoned because the service cannot handle the transactions with decent fees, it could happen that people will remove capitals very soon, and the bitcoin value will decrease to few dollars. Miners will not mine anymore, because the value is too low and it doesn't payback the machines bought for mining. All the hardware will be sold to repay the expenses, or just used to mine more convenient cryptocurrencies. There will be no miners and all the transactions will get stuck into the unconfirmed limbo until they will be erased by the system. The transactions won't work anymore even to move the money to other cryptocurrency and all the money will be lost forever (this is an extreme scenario but it could happen). People will lose millions or billions of dollars and if you have money, there is a good chance that it could happen to you, so make attention please and read the news, because everything from now on could happen.